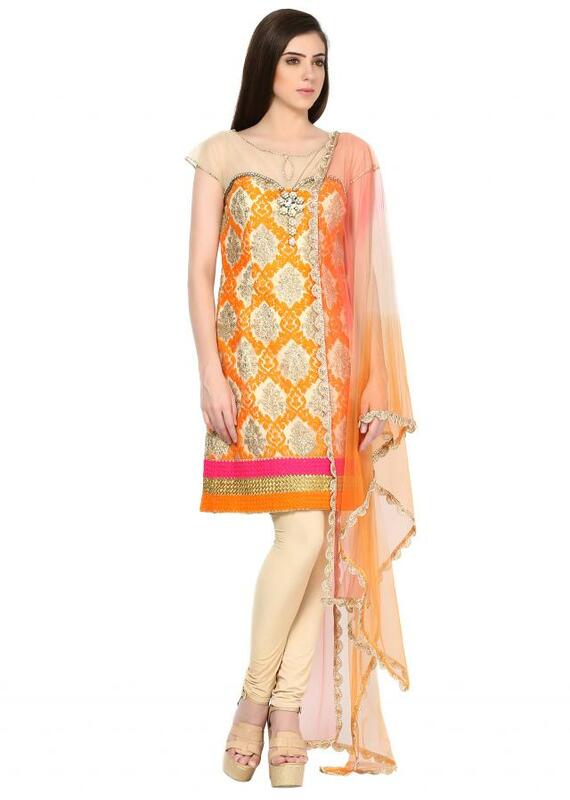 Orange straight fit suit featuring in silk. 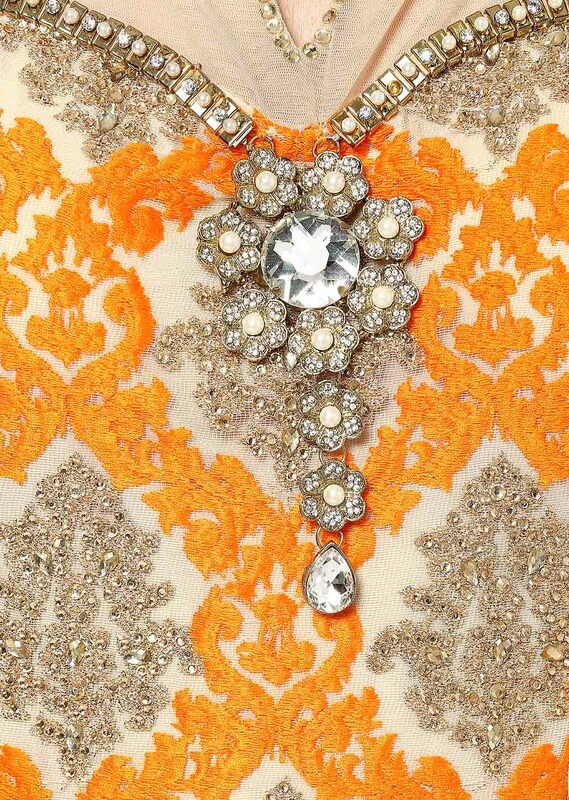 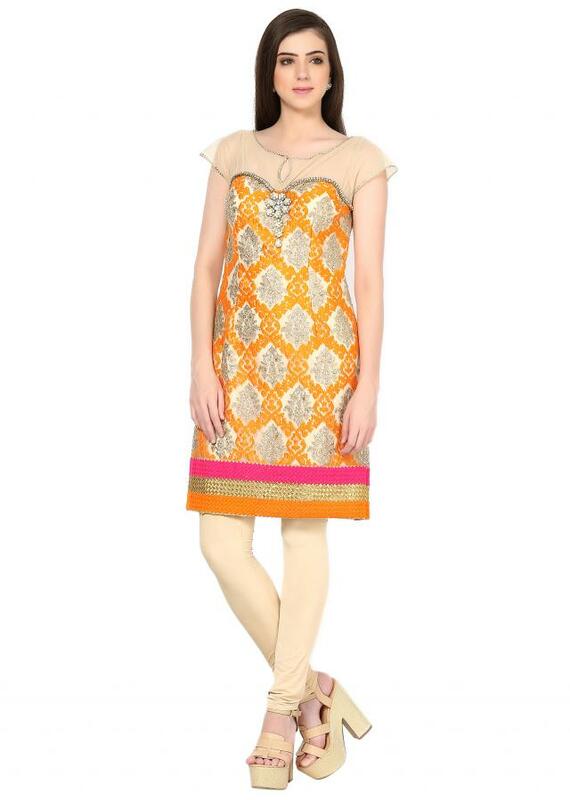 Its enhanced in thread and swarovski stone along with embroidered neckline and raw silk and lurex piping at hem. 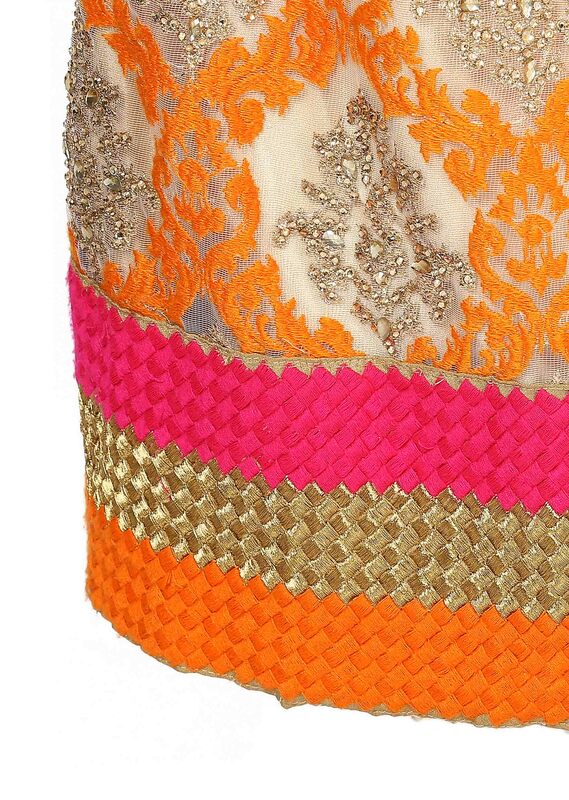 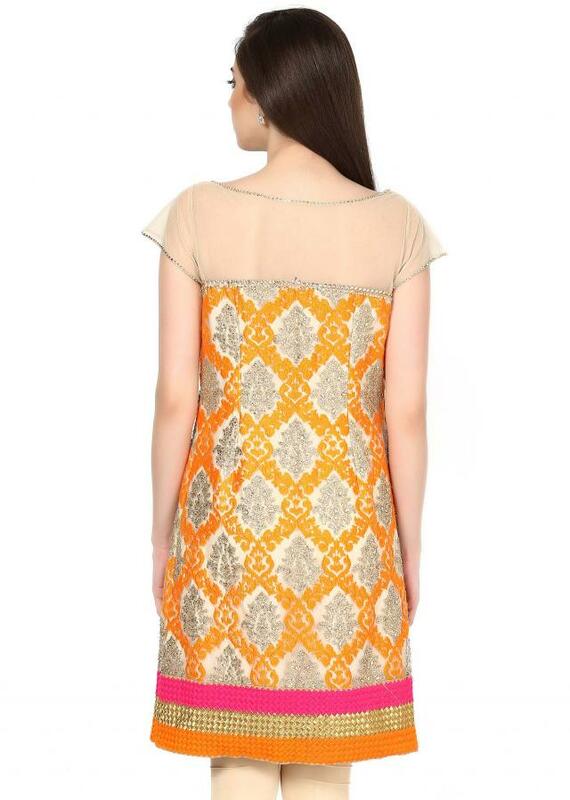 Matched with cream Churidar and orange dupatta.